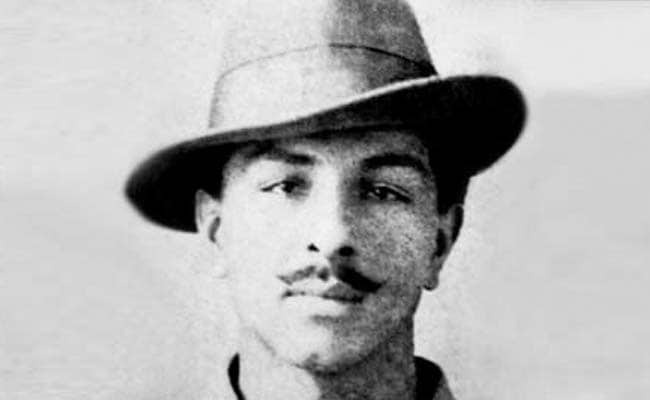 Bhagat Singh's pistol will be displayed at the Martyrs' Memorial in Hussainiwala in Ferozepur district. Bhagat Singh's pistol was last seen in Punjab at the Police Academy, Phillaur on October 7, 1969. Chandigarh: Freedom fighter Bhagat Singh's pistol, with which he shot dead British police officer JP Saunders in 1928, is back in Punjab, the Punjab and Haryana High Court was informed today. It would be displayed at the Martyrs' Memorial in Hussainiwala in Ferozepur district. The Central School of Weapons and Tactics (CSWT) of the Border Security Force in Indore, where it was kept all these years, transferred it to the BSF headquarters in Punjab. In response to the PIL filed by advocate Hari Chand Arora, an affidavit submitted by CSWT BSF DIG Arun Kumar Tambe stated that the pistol was transferred back to Punjab through an order on April 25, 2017. The affidavit mentioning that the pistol has been transferred back to Punjab was filed by the BSF in the court of Justices SS Saron and Darshan Singh of the Punjab and Haryana High Court during the resumed hearing of the case. The pistol, a US-made .32 Colt was last seen in Punjab at the Police Academy, Phillaur on October 7, 1969. It was transferred to the CSWT, Indore in a lot of eight pistols for display by an order of the president. The CSWT needed old weapons for explaining the development in weapons technology to the BSF recruits. Local lawyer Arora had moved a PIL for the return of the pistol.